In this episode, Ricardo talks about a kind of invisible contract that governs people's relations within organizations and that can have a significant impact on the project's success or failure. 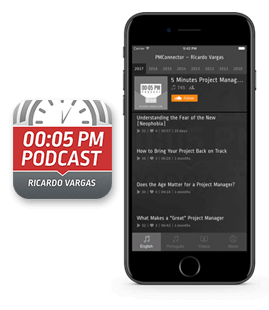 In this episode, Ricardo lists 5 crucial points for those who want to develop an international career in project management. In this episode, Ricardo talks about one of the most effective forms for displaying graphical information, the Heat Map. He explains how you can use this tool to improve your project’s communication when creating reports such as the risk map and the stakeholders analysis.